I'm seeing early morning thunderstorm that should be finished by 10ish. Then sunny for the rest of the day. What a great day, I can't wait to see the pics!!!! Glad to hear it! I have a selection of photos from today. I wasn't quite as photo-happy as normal, but there are some cute shots! It was a pleasure today guys. And I still can't believe the weather. It's just now starting to rain! It was fantastic meeting you all! Looking through, I got some great photos, though they won't be touched for a few days! Boo. Internet is out. I didn't get a ton of pictures, but I'll post em when I can! I had a blast and was super bummed I couldn't stay longer! Can't wait to see everyone's pics. Was great to see you all! I had a blast, as did the pups. Super happy with how well behaved they all were! (Usually a game of beagle herding will ensue if Oz and Cobain are off leash together for too long lol). I only got a few shots, just on my phone. None really worth posting I don't think unfortunately. Here's a shot of (most) of the attendees. I'll post up a photo thread of some more shots. 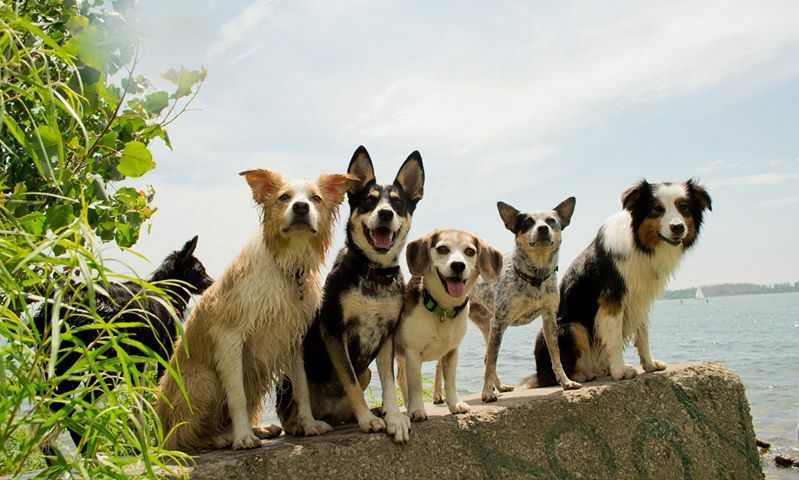 Paris (hiding/distracted in the back), Cobain, Rigby, Oz, Crossbone, Cohen. Seamus is missing and off on an adventure. That's awesome. You were also in town for the Beaches Jazz Fest (which I totally forgot about until I got stuck in its traffic on the way home). Toronto is a pretty tourist-friendly city when it comes to events and things to do. If you come back by all means let me know. There are a some pretty fun dog events around too. Awesome k9, definitely let us know! We definitely have to do it again! I would love to meet up next time you come back. Hopefully we can plan something where people who have dogs who aren't dog park friendly can come! We could really pull off a meet of epic proportions. People from last years will come Im sure so we build on that. Id like a few suggestions. Do we just have a meet like last year but with maybe some car parts up for sale or do we want to cruise more possibly down Hwy 2 along lake Ontario. Why didn't we think of that, guys?! Let's meet up and sell some car parts whilst we're at it!